Stay tuned... I've been on a truffle-making marathon as of late so you can expect more truffle recipes for these flavors: Peanut Butter Crunch Truffles, Chocolate Candy Cane Truffles, Snickerdoodle Truffles, and Chocolate Chip Cookie Truffles. 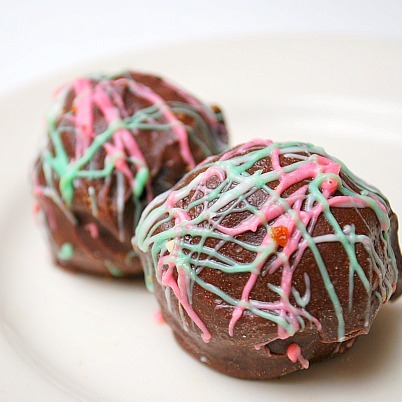 Your truffles look amazing! I love how cute the cupcake ones are. Wow! I have no patience for making things like this and admire anyone who does! Beautiful! I am loving all of these recipes. Pina Colada?! Sounds like an excellent way to forget how cold it is outside. 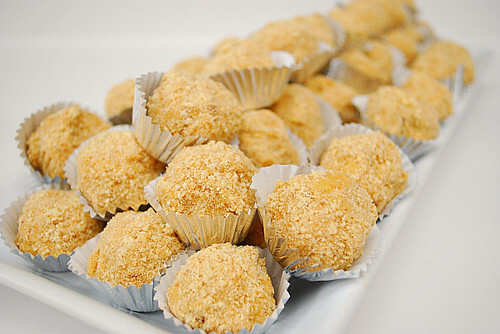 Ah truffles! I like the cupcake ones. They all look and sound SO good!!! Thanks for posting! Your truffles look delicious!! 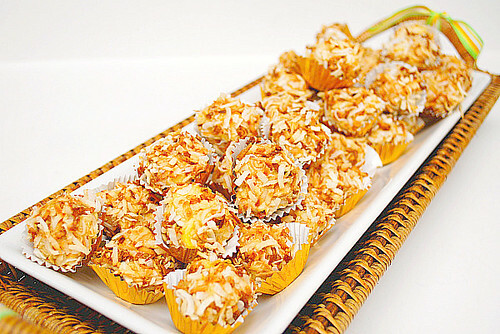 I made coconut truffles last week and they were really good! I must try some different kinds of truffles, such as yours! Truffles are my weakness. I had to read this thoroughly. Thanks! 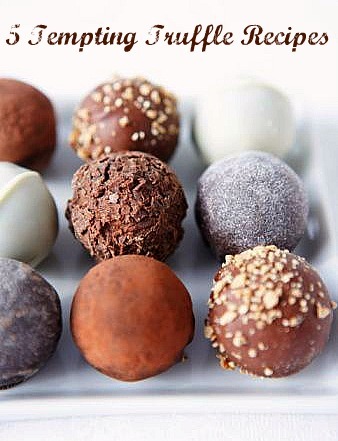 Hi Susan - if you click on the names of each of the truffles above, it will lead you to the full recipe. I didn't want to include all of them in full in this post, otherwise it would be super long... so just click the names and you'll find what you're looking for - enjoy! Anonymous - these do not need to be refrigerated, however they will melt if placed out in a warm area for too long.